A new commentary for today's world, The Story of God Bible Commentary explains and illuminates each passage of Scripture in light of the Bible’s grand story. The first commentary series to do so, SGBC offers a clear and compelling exposition of biblical texts, guiding everyday readers in how to creatively and faithfully live out the Bible in their own contexts. Its story-centric approach is ideal for pastors, students, Sunday school teachers, and laypeople alike. 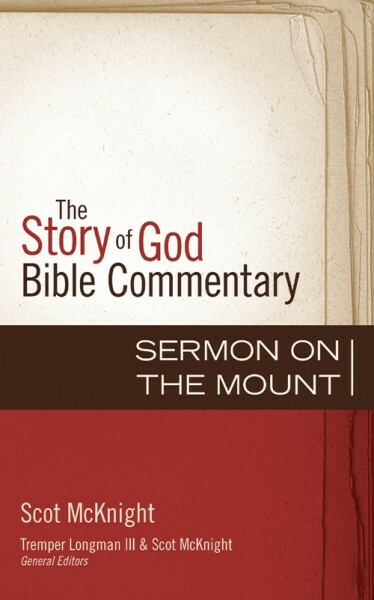 The Sermon on the Mount is Jesus’ most important sermon. It’s also a unique moral portrait of the people of God. Explore Jesus’ teaching – and its world-changing implications – with author Scot McKnight. Looking for the value and convenience of the 11-volume commentary set? Find it here.